Shiraz is an affordable red wine that is sometimes referred to as Syrah, which is the name of the grape that Shiraz is made from. The Syrah grape variety grows in the French Rhone Valley, but it is the most cultivated and planted red wine grape variety in Australia. This grape is now so popular in Australia, it is known as the Australian grape. The grape variety was not popular until the 20th century, when the variety was planted in Australia, where Shiraz received its name. Shiraz boasts as a deep, strong wine with varying tastes, depending on where and how it was cultivated. If grown in warmer regions, the Shiraz variety will produce different flavors. Winemakers continue to experiment with the taste and complexity of the wine by using different kinds of oak. The grape variety yields a nice fruit flavor and light tannins, if it is traditionally made. Shiraz wine tends to have peppery spice notes, and includes chocolate, licorice, or blackberry notes. When paired with food, Shiraz goes well with rich poultry dishes or spicy foods, including Mexican or Cajun dishes. The wine also goes nicely with beef dishes, or just makes for a nice wine just by itself. Deep red with a slight purple hue on release. The wine has a rich mix of dark chocolate infused with coffee bean and black liquorice, then scents of tar, aniseed, raw (pure) soy and black olive on the nose. The palate is expansive, and yet balanced and finessed. An amalgam of dark berried flavors and textural sensations. The 100% new oak is completely absorbed, meshed with ripe tannins, completing a palate of impressive length and youthfulness. Parcels of fruit for this wine were identified in the vineyard by the winemakers. Daily fruit inspection led to the fruit being harvested at optimum flavor ripeness. The fruit was harvested at night and quickly transported to the winery. The fruit was destemmed to 6T open fermenters for fermentation. 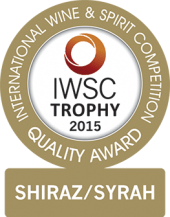 A Shiraz specific yeast was selected to ferment the wine and fermentation was carried out at a maximum of 28°C. The fermenter was manually pumped over twice daily in the first half of fermentation to give the winemakers control of color, flavor and tannin extraction. Pump over regimes were adjusted toward the end of fermentation to suit the tannin and flavor extraction of the wine. The cap was completely broken up on each pump over. The wine remained in fermenters for 6-8 days (dependent on parcel) before being pressed, inoculated with malolactic bacteria and filled to American oak (100% new barrels). The wine was racked post malolactic fermentation and returned to the same barrels. The wine was topped every month and after six months racked and returned to the same barrels again. Prior to bottling the parcels were emptied from oak and blended. Minimal fining and filtration was carried out prior to bottling. Situated at the very heart of South Africa’s Swartland wine region, Short Street is the shortest street in the Riebeek Valley. A melting pot of creative energy, gourmet fare, farm fresh produce and the vibrant, uncomplicated lifestyle of the people, Short Street captures the essence of the Swartland, where passion, creativity and simplicity are distilled into a captivating experience. Made in a rich, full-bodied, this Shiraz is a rich and lively, full-bodied wine with a subdued smokiness on the nose and a palate of ripe red berries and interesting spice. Well-balanced and smooth, the aftertaste lingers with the exciting flavors of chocolate and spice. Grape must is cold soaked for a day and then inoculated with selected yeast. Fermentation is temperature between 24-26 degrees Celsius. Regular pump-overs enhance color and flavor extraction. The wine is aged for 4 - 9 months in French oak for good integration of flavor and a smooth finish. Serve at room temperature as a glass on it’s own or pairs beautifully with bold, full-flavored foods like roasted duck, lamb and game meat. This limited release wine is created from the fusion of two exceptional parcels of Shiraz and Cabernet Sauvignon. This classic blend is matured in the finest oak crafting an intriguing unison that captures the essence of the vineyard and highlights its unique varietal expression. 2012 was a very good season with predominantly mild, dry days. Yields were generally low and this did result in some excellent parcels of fruit being harvested. Vine-balance was carefully monitored, resulting in fruit that demonstrates the vibrancy and fruit-derived characters that the family strives for in its wines. By all accounts it was a textbook vintage. Deep inky purple in color. Aromas of blackberry, mocha, mint and spices. Lush, ripe palate dominated by black fruits, cherry and chocolate. An expansive palate with black fruits and nicely balanced by oak. Made with the greatest dedication and care, select parcels were matured in new and seasoned French and American oak for up to 20 months prior to being selected for this blend. Individual barrels from our family estate that best demonstrate the intensity of our fruit, balanced by integrated oak were selected for the final blend, which was then bottled with minimal filtration. "A 60-40 blend of Shiraz and Cabernet Sauvignon, the 2012 The Bryson Barrel Select offers minty notes layered over dark fruit. Roasted meat, blueberry and cassis also play roles in this full-bodied but structured wine that appears to be at or near peak maturity. - Joe Czerwinski"
Lifted aromas of spicy dark cherries with a hint of cedary oak. A medium to full bodied wine; the palate is a maze of spice, pepper and dark fruits, the finish is bright and refreshingly clean. Picked during the cool of night. An intentional minimalistic approach to winemaking to ensure the vineyard character sings. Fermented with a small percentage of stalks and whole berries, in small open fermenters and hand worked twice daily. Warm fermentation is followed by maturation in French oak barrels for 12-16 months (depending on parcel). Minimal fining and filtration prior to bottling. Thorn Clarke Shotfire Quartage is made from 35% Cabernet Sauvignon, 25% Cabernet Franc, 23% Petit Verdot, 17% Merlot. "A long established blend of Cabernet Sauvignon, Cabernet Franc, Petit Verdot and Merlot that has often exceeded expectations, both with the quality of the estate grown fruit, the way the components are handled in the winery and the blending process. Everything about the wine defies the normal yawn that greets Barossa Valley Bordeaux blends with its bright mouthfeel and cedary fruit flavours." Lighter in style than usual, the wine offers aromas of sweet berry fruits, plums, pepper and spice. There is rich fruit on the palate displaying plums, blackberry and sweet spice from the subtle oak. Nice soft tannins are accompanied by great length of fruit flavour.